Networking. In the Spring this year, I had an article published in Permaculture Magazine on a course Gabrielle and I had done in France on how to make an organic wool duvet. 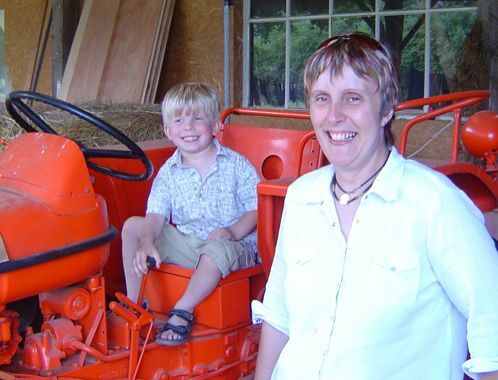 Subsequently, Val Grainger, a smallholder (with her husband Pete) in Somerset (UK) was talking on BBC Radio Devon about her efforts to find ways of directly using the wool from her own sheep rather than selling it for next to nothing to the Wool Marketing Board. Apparently, in this strange world of global trade we live in, a huge amount of raw British wool is exported abroad, whilst an equally huge proportional of manufactured wool products are imported. Ecologically, all this transportation makes no sense at all, and the economics of it is a bit of a mystery to me as well. Val wants to prepare the wool locally, do something to add value to it and sell locally, thereby increasing her profit and reducing the transport distances dramatically. After the show, a “little old lady” phoned in to say that she had read an article (ours) in the latest issue of Permaculture Magazine about how a French farmer had revived a lost skill and was making duvets from her own farm’s pure organic wool. Our contact details were in the magazine, which is how Val got in touch. She has helped to obtain a government grant for the Somerset Rural Women’s Network to set up a social enterprise project to find new uses for local wool and is going to do a course with Catherine Guillot later this year. She is over in France on business and so paid us a visit today, with her four-year-old son Charlie. It was great to meet her and hear of their smallholding and her plans for the duvets and other things, such as courses she and Pete have started to run. Her experience of smallholding spreads back to her childhood and she was able to give us loads of valuable advice on our own project, from the current quality of the pasture and how to maintain it, stock fencing, hedge-laying, complimenting us on several things we had already done (reassuring) and offering suggestions. 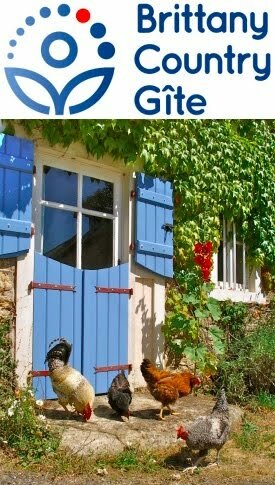 Contact details for Catherine Guillot are in the article and I’ve added a link to Val’s and Pete’s website in the links section. 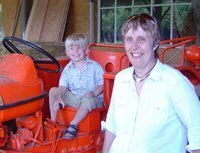 The photo is of Charlie and Val with our ancient tractor.